October 31, 2017, Rybinsk. On October 30, 2017 PJSC "UEC-Saturn" (a part of United Engine Corporation (JSC), a Rostec State Corporation company) was visited by guests from Kaliningrad: Sergey Petrov, Director of technology park "Quantorium", and Sergey Gorobets, grade 11 student - remote participant of forum "ProeKTOrIA". Program of the visit includes an enterprise tour and a meeting with Yuri Shmotin, Deputy General Director - General Designer, JSC "UEC". 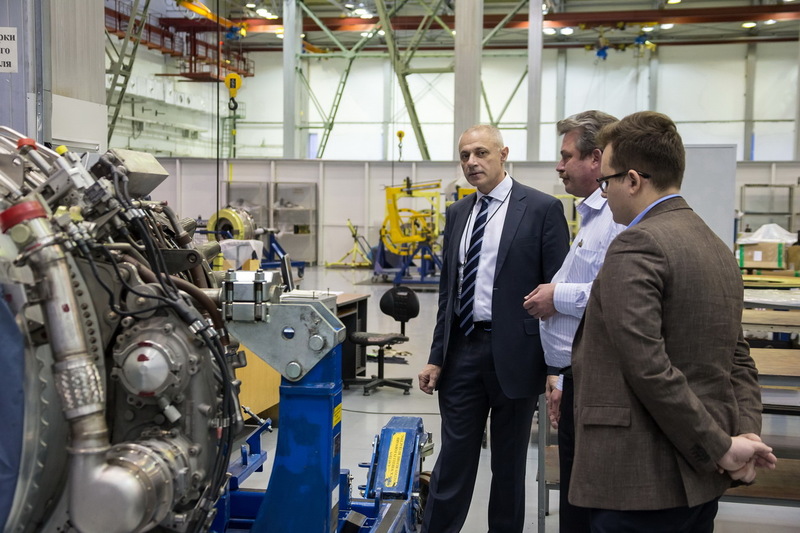 The result of familiarization with the activity of PJSC "UEC-Saturn" in Rybinsk and future visit of Perm enterprises "UEC-Perm Engines" (JSC) and "UEC-Aviadvigatel" (JSC) will be a supraliminal choice of profession - the choice granted to the talented student by Rostec State Corporation by way of an education certificate for studying in one of eight Russian leading technical institutions of higher education. During the World Festival of Youth and Students (WFYS) Yury Shmotin, Deputy General Director – General Designer of United Engine Corporation (a Rostec State Corporation Company), told the participants of the academic program and debate “Aviation of the Future” about the main development tendencies of Russian engine building industry and the key programs implemented by UEC. The participants of the academic program and debate "Aviation of the Future" introduced the development concept for aviation of the future to Vladimir Putin, President of the Russian Federation, during the XIX World Festival of Youth and Students (WFYS) in Sochi. Young employees of United Engine Corporation (a Rostec Corporation Company) were among the project developers. Leonty Sergienko, Deputy SaM146 Program Director, PJSC "UEC-Saturn" (a part of United Engine Corporation, a Rostec State Corporation company), Rybinsk, introduced peculiarities of the after-sale support organization for SaM146 PPS’s powering the Sukhoi Superjet 100 (SSJ100) aircraft to the participants of the academic program and debate "Aviation of the Future" at the 19th World Festival of Youth and Students (WFYS) in Sochi. United Engine Corporation (a Rostec State Corporation company) introduced their experience of the effective engineering system forming and LEAN production implementation and their plans on the transfer to "digital production" to the participants of the academic program and debate "Aviation of the Future" at the ongoing 19th World Festival of Youth and Students (WFYS) in Sochi. Vasily Bogdanov, Doctor of Engineering Science, expert of the advanced development and experimental investigation design department of Rybinsk PJSC "UEC-Saturn" (a part of United Engine Corporation (JSC), a Rostec State Corporation company) reported of the advantages and development prospects of pulsating detonating technologies in the engine-building at the academic program and debate "Aviation of the Future" held in Sochi at the 19th World Festival of Youth and Students. October 19, 2017, Rybinsk. – On October 18, 2017 PJSC “UEC-Saturn” (a part of United Engine Corporation (JSC), a Rostec State Corporation company) celebrated its 101st birthday. The Day of the Company was full of events which became real presents to not only engine-builders, but to all the inhabitants of Rybinsk. The program of the festive occasion included a morning performance of the municipal brass band in front of the main entrance to the company, a ceremonial opening of Alley of Engine Builders and of the Regional Museum and Vocational Guidance Centre in the district of engine builders, a celebration in honour of the company’s staff and its best employees at the gala night in the Palace of Sports “Poliot” with a concert and theatre program from the Fiodor Volkov First Russian Theatre and fireworks. October 18, 2017, Rybinsk. – PJSC "UEC-Saturn"(a part of United Engine Corporation (JSC), a Rostec State Corporation company) became the winner of the annual regional contest "The Best Industrial Enterprises of the Yaroslavl Region" of 2017 in the "Metal Fabricating Industries" nomination. JSC "Saturn-Instrument Plant", UEC-Saturn’s subsidiary company, was also acknowledged to be the leader in the "Metal Fabricating Industries" group. 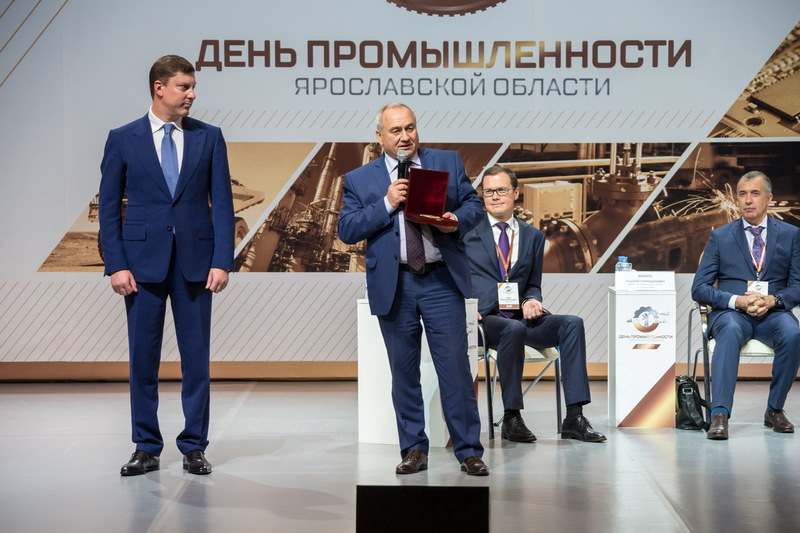 CJSC "VolgAero", a joint venture of PJSC "UEC-Saturn" and Safran Aircraft Engines, was awarded with the special prize "Socially Responsible Enterprise of the Yaroslavl Region". 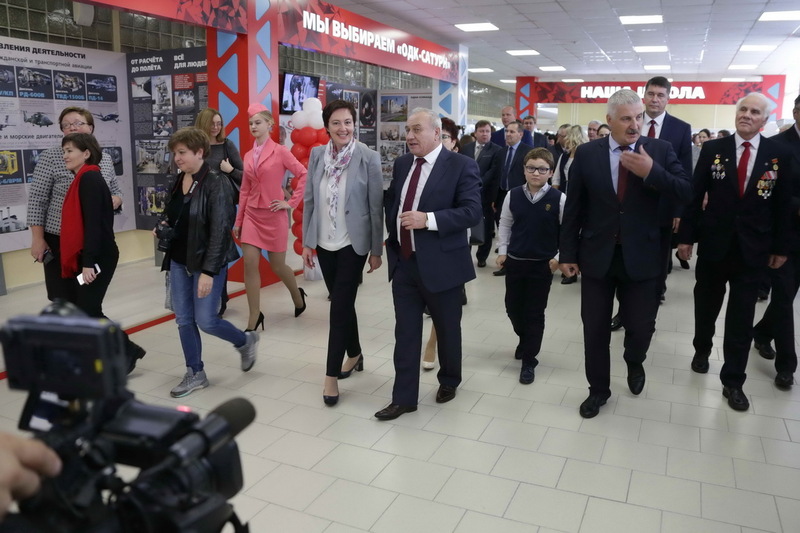 The awarding ceremony was held in the "Millennium" concert and entertainment center on October 17, 2017, the 7th Day of Industry of the Yaroslavl Region. It was attended by representatives of more than 300 enterprises of the region and relevant federal departments. 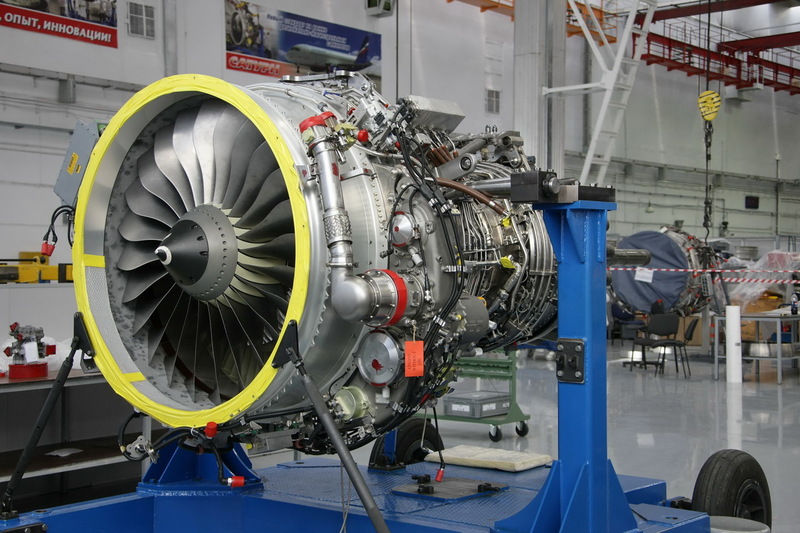 United Engine Corporation (a Rostec State Corporation company) will introduce the principal progress trends and projects of Russian engine industry to the participants of the academic program and debate "Aviation of the Future" which is to take place as a part of the 19th World Festival of Youth and Students in Sochi. 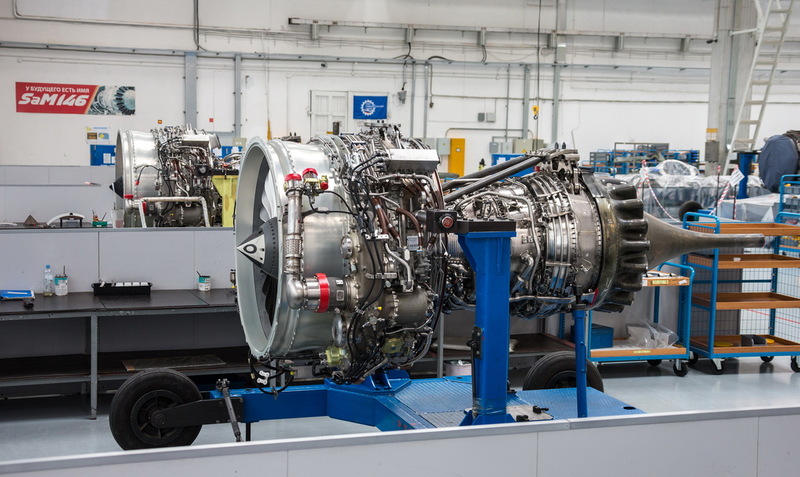 The 300th Russian-French production SaM146 engine installed on Sukhoi Superjet 100 (SSJ100) passenger airlines was assembled at PJSC "UEC-Saturn" (a part of United Engine Corporation (JSC), a Rostec State Corporation company) in Rybinsk and was delivered as a PPS part to JSC SCAC. As of today, the total operating time of the SaM146 fleet exceeds 700 thousand flight hours. Yury Shmotin, General Designer of United Engine Corporation (a Rostec State Corporation company) has presented the principal trends of cooperation between the holding and small innovative companies, institutions of higher education, and startups at the S.P.Korolev Samara National Research University.